As a high school English teacher, my initial attempts at creating a thriving reading community were inspired by the type of reading community that I was most familiar with–the literature class. There seems to be a shared experience among literature majors across universities and colleges; the community is based on the study of a canonical text, reading assigned chapters, coming to the lecture to be “filled with knowledge” regarding the Meaning of the text from the expert (aka professor), and then qualifying, defending, or denying that meaning through critical analysis. For a literature student, there is nothing more exciting that to deconstruct a work, applying a critical lens, and then writing or talking about it in relation to Truth and Life. For a high school student, there is nothing more tortuous than to come to class and have your (very naive) English teacher lecture to you for 45 minutes a day about what the boring book written by some dead white guy “means.” And this is where my journey to creating the conditions for a thriving reading community began. It did not take me very long to realize that my carefully crafted reading guides, lecture notes, and essay tests were not helping me in my goals to facilitate a love of reading for my adolescent readers. While I pondered, explored, and experimented with ways to help my students construct meaning from their reading experiences with works such as Lord of the Flies and Oedipus Rex, my administration recognized a certain fervor and energy within me and bestowed upon me a very special assignment: the English repeat class. My second year of teaching I was “selected” to take the freshmen English I class that consisted of students who had failed the course the first time. “It didn’t work for them the first time, Audrey, so do something different with them.” Different. What did I know that was different? Luckily, that summer, a friend introduced me to a “new” author, Walter Dean Myers and this book about a teenage boy on trial for murder. Since 95% of my students were boys and 75% of them were hispanic or black, I said, “hey, this is different” and managed to collect enough copies of Monster to spread around my classroom. After the first day, I realized that I had found the difference that makes the difference–young adult books that engage students with stories about protagonists who they can relate to. My little class of repeaters eventually became my first taste of what a reading community can look like in a high school English class. Students were sharing books, talking about what they liked and didn’t like, writing in response to what they read, and making meaning through Literature study. Since then, I’ve heard many stories about how YA literature was first introduced to high school remedial or reluctant reader classes because they “can’t handle” real literature. At the time, I might have nodded in agreement. Today, however, I’ve come to realize that YA literature IS real literature and that with an appropriate balance and reader-response based practices, ALL adolescents not only can handle the canon, but can come to see it as a part of their reading lives and communities. As my confidence in what I was doing with YA literature grew, I began to integrate the same practices into my on-level English classrooms. I brought YA books such as Laurie Halse Anderson’s Speak into my classroom to book talk and share and even took my classes to the library to check out books. Simply showing my students books did not ignite a love for reading, however. I decided that because reading was not a regular habit for my students–many reported having never finished a book for pleasure on their own– or they were just too busy to read on their own, I borrowed a practice from my experience as an elementary student: DEAR (Drop Everything and Read). I started incorporating DEAR into the first five minutes of every class as my “bell-warmer” but realized almost immediately, that five minutes was not enough time to engage in a book. Before I could consider extending independent reading time every class period, I had to consider what I was ready to let go of. What practices was I clinging to out of familiarity or peer pressure that I knew weren’t really contributing to my students’ growth as readers and writers? I return to this question regularly to make room for the community to continue to thrive. First on the chopping block were ten assigned vocabulary words that we would define on Monday, write sentences with on Wednesday, and quiz on Friday. I upped our DEAR time to 15 minutes each day with a five minute reader response time and the shift in our values as a community was immediate. A typical class period would begin with a book talk, trailer, or read aloud to introduce a new title to my class. We, ALL, would read for 15 minutes. Yes, I read with them. I did not take attendance, answer my emails, or grade papers. I settled myself in my director’s chair, set my timer (because I would often stop watching the time, losing myself in my book), and read with my students. At the end of the time, we all wrote in response to our reading. Some days I included a mini-lesson or think aloud about my book, but most days was open for students to respond as they needed. After DEAR, we would go on to our literature study or writing lesson. Students were sharing books, asking for recommendations, borrowing from my collection or visiting the school and public library. But when DEAR was over, our community seemed to take a back seat to the Literature we had to “cover.” I began to wonder, “how can I help my students find the connections and “intertextuality” between the books they love to read and the traditional texts we study? Isn’t it amazing how the stars all seem to align at the same time? Images, culture, events, and your own burning questions start to take shape and have momentum. At the same time I wondered how to create bridges between my students’ reading experiences with YA and traditional titles, the Prius started to become popular. Everywhere I would see ads, hear commercials on the radio and T.V. The Prius seemed to populate streets and highways overnight. A hybrid vehicle: the best of the traditional model with the efficiency and innovation of the contemporary world. 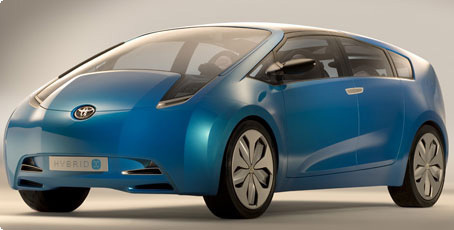 As the Prius gained in popularity, “hybridism” seemed to be infiltrating mainstream life. 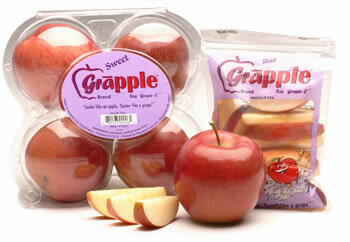 One day while perusing my grocery store’s apple collection I came across the “grapple.” The grapple is a grape-apple! How ingenious (and yummy). And then I realized, my classroom is a grapple; a hybrid high school English classroom integrates the contemporary stories, texts, and reading experiences with constructive literature study, allowing for a reading community to take root, grow, and explore life’s big questions. I’ve thought a lot about the “how-to” part of creating these communities. There are three real practices or “simple rules” that are non-negotiable for a healthy high school reading community. For each of the following practices, I’ve included tools, resources, and samples that I have created with and for my students. 1) Let your students get to know you as a reader– read in front of them, to them, for them, and with them. Seek out and join a reading community–either in person or online. 2) Support their exposure to young adult literature with book talks, trailers, and lists that draw a thematic connection to literature. 3) Invite them to explore difficult themes, contexts, and situations in young adult literature alongside classical literature with peers through literature circles. Bring in contemporary authors as writing exemplars and mentor texts to engage students in young adult and adult literature while empowering them as young writers. VoiceThread book talk sharing titles that explore questions regarding war and its impact on the individual to accompany Tim O’Brien’s The Things They Carried. This entry was posted in independent reading, NCTE, YA.